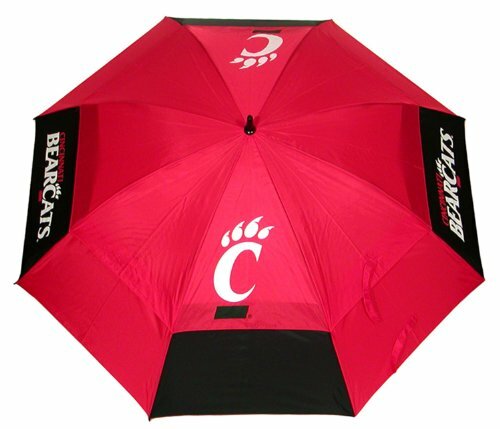 637556240699 NCAA Team: Cincinnati Features: -Umbrella.-62″ Double canopy design withstands strong winds. Includes: -Includes an easy grip handle, four location imprint and printed sheath. Color/Finish: -Official NCAA teams color and logo. Dimensions: -Overall dimensions: 2″ H x 40″ W x 2″ D.